From simple to elaborate, without being complicated. 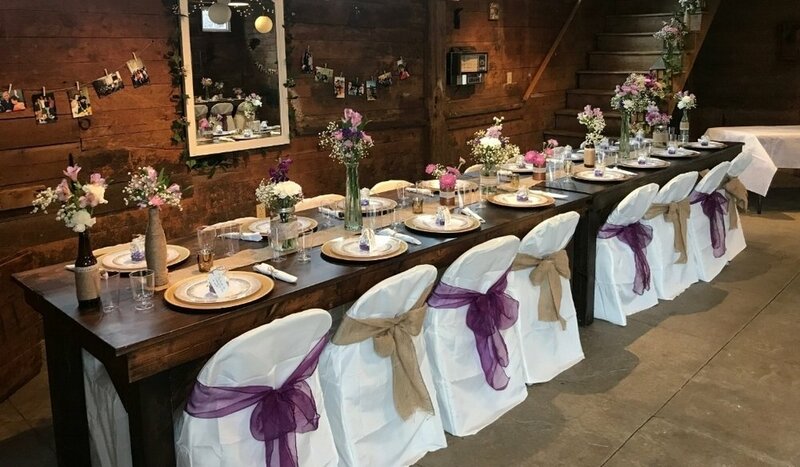 Choose from customized rentals of our rustic barn, expansive grounds, five guest rooms, gathering spaces inside the Inn – or any combination of these. Team-building day in our conference room, followed by a guided fishing trip on our private trout-stocked waters. 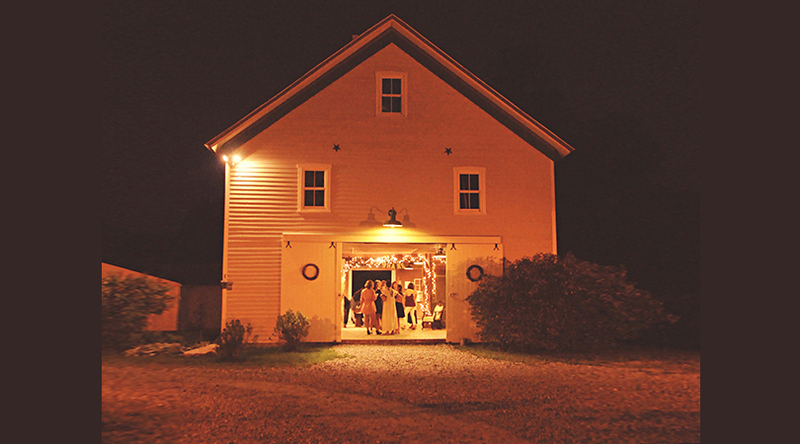 Weekend-long retreat complete with early morning yoga in the barn and chef-prepared dinner in our dining room. 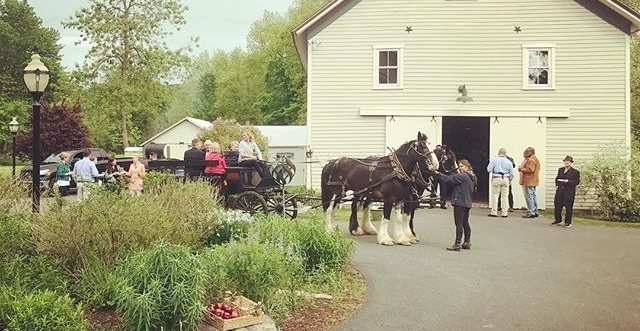 Memorial service and celebration of life in our barn. Milestone birthday party in our barn with old-fashioned horseshoes and a bonfire with s’mores. 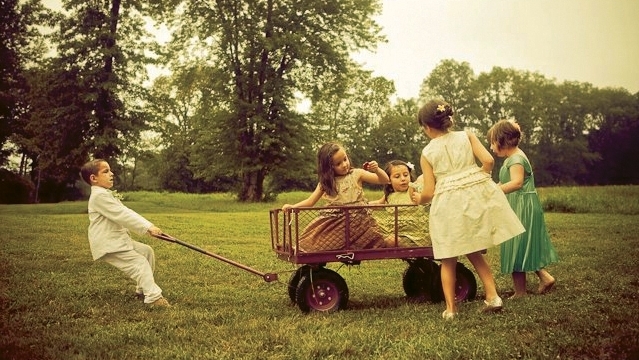 Family reunions, showers, graduation celebrations. 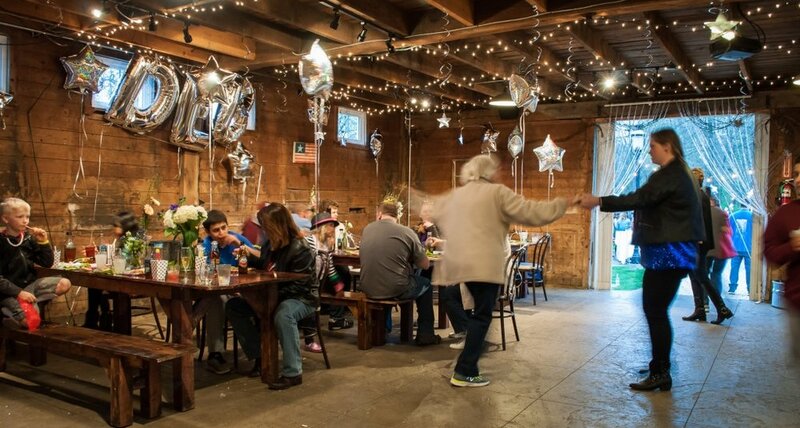 Our 1850's fully-restored barn is a memorable place to gather with family, friends, or colleagues for any occasion. 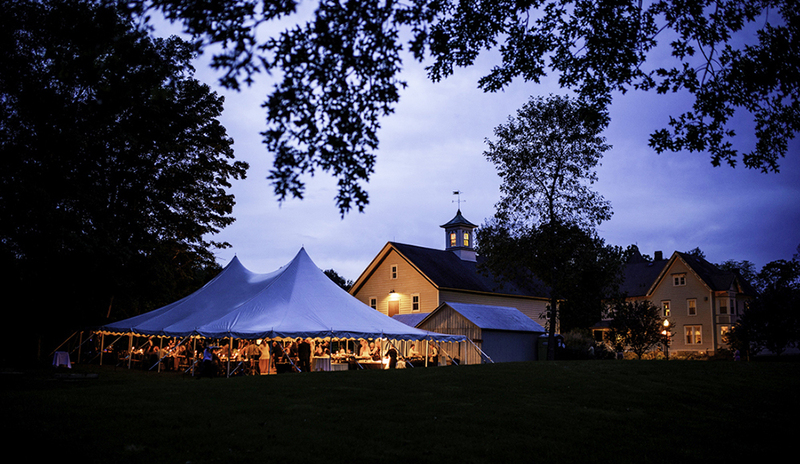 If your event requires dinner seating, the capacity is about 60 people; larger guest lists can be seated out behind the barn on our 30’ x 50’ patio where a tent can also be installed. 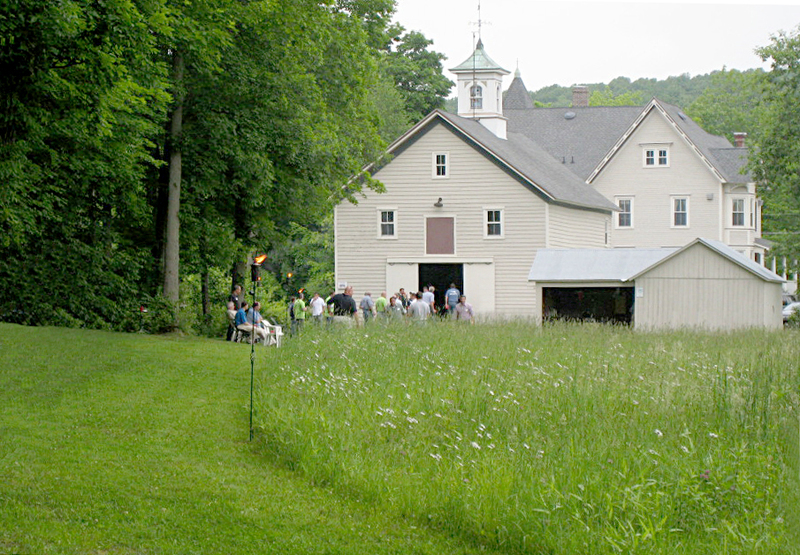 If your event is of a more informal nature, the barn and property can accommodate much larger groups. 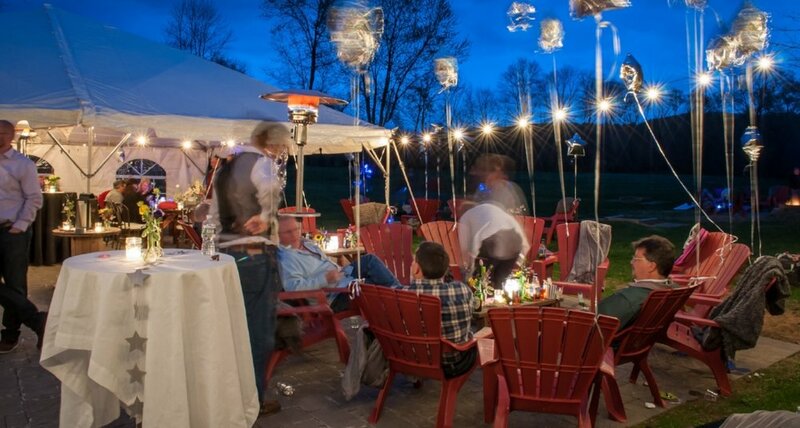 Our venue rental fee gives you access to the surrounding property with two horseshoe pits, a bocce ball court and a stone fire pit with seating. Some basic tables and chairs are included with the rental fee, but our rustic farmhouse tables are also available to rent. The barn is equipped with wireless Sonos speakers allowing you to enjoy your favorite playlist from your own device. Catering is by separate contract with the vendor of your choice, although we have several that we can suggest. Book our 5 guest rooms, too, and extend the celebration. An ideal gathering place for your group, business or interest, the Inn is well equipped for a corporate retreat, holiday party or off-site meeting. 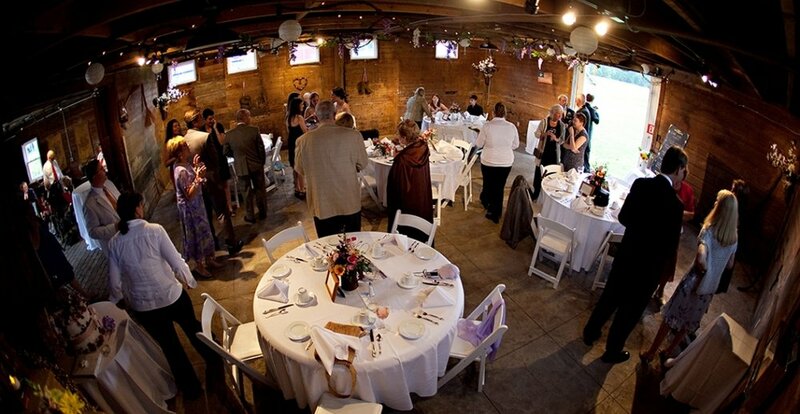 The Raritan Inn is the perfect setting for intimate networking functions, business conferences, award ceremonies, meetings, or annual parties. 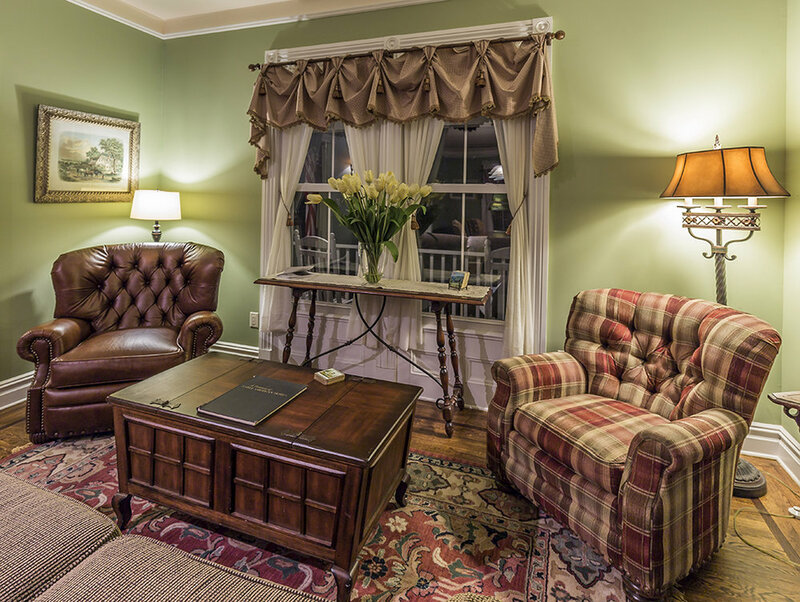 Your guests will also enjoy the full amenities at the Inn - gracious porches and patio, living area, a game room complete with pool table, and our catering kitchen. Our five elegant guest rooms can serve your most important clients. Take advantage of the Inn, the barn, and our guestrooms - It’s the ideal way to combine productivity with relaxation and can offer an avenue to combine the work of the day with camaraderie and team-building. We offer a comfortable, relaxing atmosphere with all the amenities necessary to do business important to you.